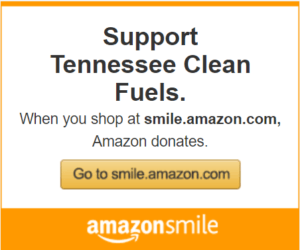 Tennessee Clean Fuels works with many different partners across Tennessee and across the USA. We produce videos sometimes but also have partners that do the same. This page contains videos from various projects or programs in Tennessee that we have assisted on our lead. You just can’t beat video for quickly providing as much information as possible about the work that Tennessee fleets and our industry partners do! August 2017 – Clarksville-Montgomery County School System launch their 15 new propane-powered school buses. They are the largest alternative-fuel school bus fleet in the state, and already have plans afoot to further expand their fleet! July 2014 – East Tennessee Clean Fuels completes the five-year, 1,786-mile “I-75 Green Corridor Project” that placed 40 biofuel (E85 and B20) public stations along I-75 to make it the longest biofuels corridor on the planet! Almost 20 different partners were part of the project. July 2017 – American Natural Gas (ANG) and Frito-Lay (of PepsiCo) opened Tennessee’s 13th Public CNG Station in Fayetteville, TN. Local partners Fayetteville Public Utilities (FPU) and the Fayetteville Lincoln County Chamber of Commerce assisted in opening the station, and FPU shot this video of the ribbon-cutting event. July 2015 – The Tennessee Workplace Charging Partnership seeks to educate businesses about the opportunity to install EV charging at their businesses so that its employees can have a way to extend their driving range while driving electric, and the organization can incentivize employees driving cleaner vehicles in their community. May 2016 – The Sustainable Transportation Awards & Forum, and Inaugural class of Certified Tennessee Green Fleets. This is Tennessee’s largest alternative fuels and transportation conference, wherein we presented our introduced our first class of fleets that applied for and achieved one- through three-star certification in the Tennessee Green Fleets Program.